Richard graduated from Brighton University in 2002 and now works from his studio on the outskirts of the city. He has exhibited in London, Hertfordshire and Brighton. 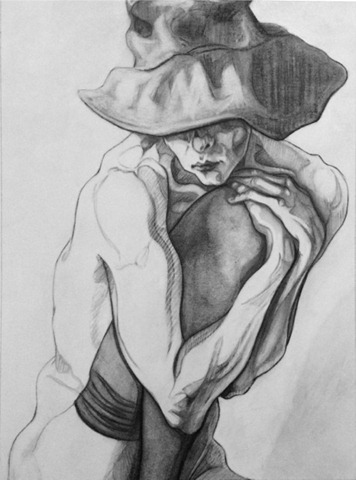 Richard’s current work focuses on his favourite subject matter, the human figure and head. His latest paintings are based on recent drawings and a strong graphic style of working that he has developed over the last few years. "Drawing has always been my strength so I like to keep a strong drawn element in my work. For me, this is where the energy lies. My goal is to capture and elevate that energy in my paintings"
A selection of works by Richard Newman is shown below. If you are interested in purchasing any of these pieces please email yorath@woodbinecontemporaryarts.co.uk or telephone 01406 330693 / 07980 167404.